This Dentaljuce Occlusion module provides an introduction to the apparently complicated subject of occlusion. We clear the confusion by presenting a foundation that makes advanced study easy to understand. We concentrate on the regular clinical aspects that affect everyday dentistry using a common sense approach. Very good, detailed, liked videos. Really good! Occlusion is a tricky subject, but this makes everything straight forward. Excellent explanations and diagrams, making a difficult concept easier to understand. Very pleased with this module. The Occlusion online learning module has clear and concise aims, objectives and anticipated outcomes, listed below. These will appear on the Dentaljuce Enhanced CPD Certificate, along with the time spent, dates, and detailed topics you studied within the module. Certificates can be printed at any time, covering any range of dates. Dentaljuce CPD complies with the UK GDC's requirements for enhanced verifiable continuing professional development. To improve my understanding of Occlusion and its application to my practice Take the Dentaljuce Occlusion module. 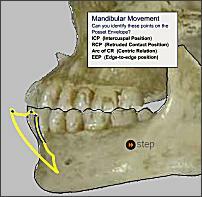 • Learn the concepts that underpin modern occlusal theory. • Through extensive and detailed step-by-step guides, learn techniques for simulating the orthognathic system on an adjustable articulator. 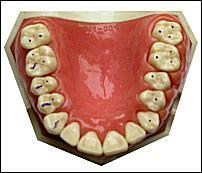 Take the Dentaljuce Occlusion module. • Learn the concepts that underpin modern occlusal theory. The aim of the learning and teaching materials in this Dentaljuce module is to allow learners to develop their professional knowledge, understanding and competence in the field of occlusion, in line with their identified personal learning requirements. 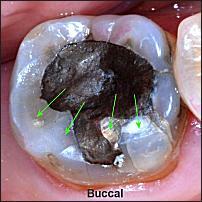 • to introduce the basic concepts of occlusion as applied to restorative dentistry. • apply these concepts to the management/treatment of patients.